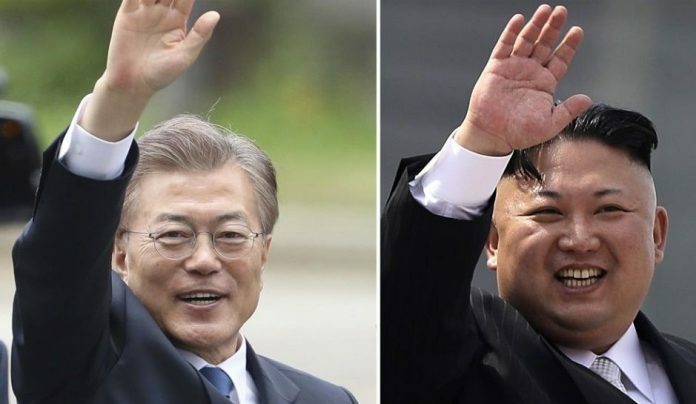 South Korean President Moon Jae-in said Thursday he is willing to meet with North Korean Dictator Kim Jong Un amid heightened tensions in the wake of Pyongyang’s first intercontinental ballistic missile test-launch. Moon, in a speech ahead of the G-20 summit in Germany, also proposed the two Koreas resume reunions of families separated by war, stop hostile activities along the DMZ and cooperate on the 2018 Olympics to be held in Pyeongchang, South Korea. “The current situation where there is no contact between the relevant authorities of the South and the North is highly dangerous,” Moon said. “I am ready to meet with Chairman Kim Jong Un of North Korea at any time at any place, if the conditions are met and if it will provide an opportunity to transform the tension and confrontation on the Korean Peninsula.” Read more at Fox News. Sorry, Mr. Moon. You can’t reason with a child.